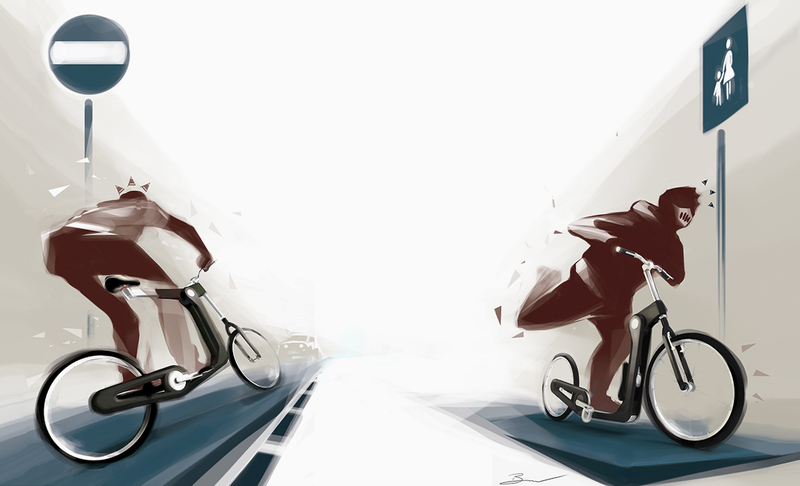 Urban individual transportation concept in collaboration with KTM Bicycles. 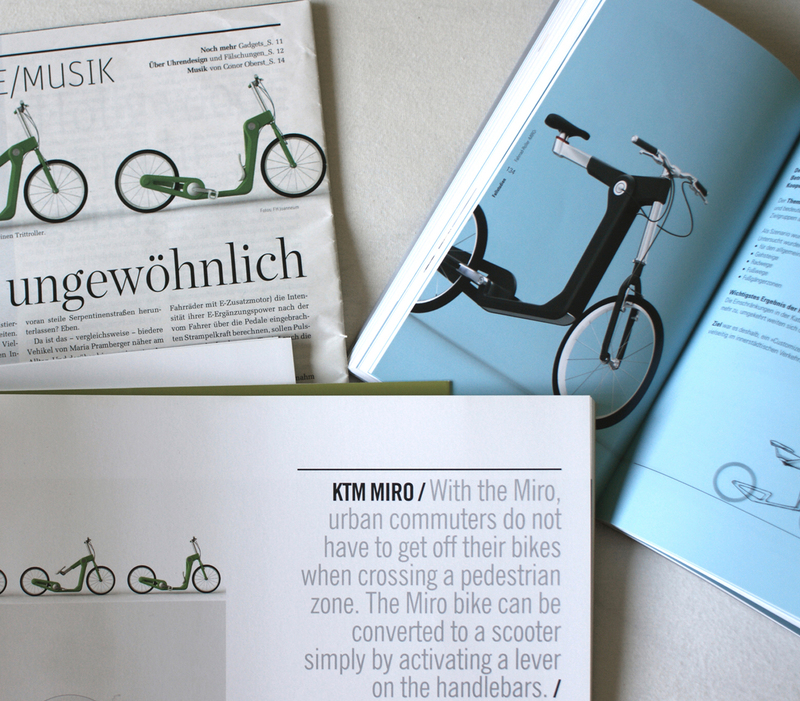 MIRO offers the possibility of transforming your bike into a kick board-scooter simply by activating one lever. The project is now being used as case study for ideation process and effective visual communication in the book “Design Basics”… the same book that got me onto the path of becoming an industrial designer. The project was inspired by, and named after a friend who frequently got stopped while riding his bicycle after one too many drinks. The project has been featured in various magazines, blogs and books … Thanks Miro.